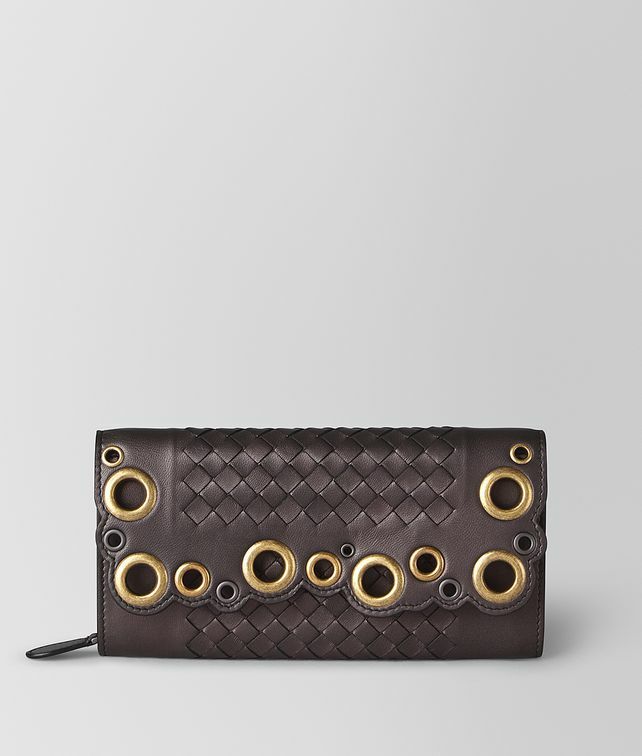 The elegant continental wallet is new for Cruise 2019 in metallic nappa leather embellished with metal eyelets in different sizes and finishes. The wallet’s flap has a scalloped edge and the centre panel is hand-woven in iconic intrecciato, adding to the textured statement. The nappa interior is fitted with eight card slots, a note slot and a zip coin purse. Depth: 2 cm | 0.78"